Below is a price-list for chauffeur transport to major British cities from Glasgow Airport. 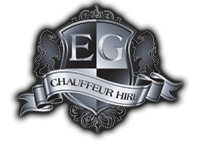 View prices for chauffeur transfer from Edinburgh Airport. View prices for chauffeur transfer from Prestwick Airport. We have a fleet of Luxury Jaguar vehicles at your disposal including; 3 stunning long wheel base XJ8 Sovereigns and 1 standard wheel base XJ8 Sovereign all identical.